Croatia is a beautiful, crescent-shaped country in Central Europe with a coastline on the Adriatic Sea. 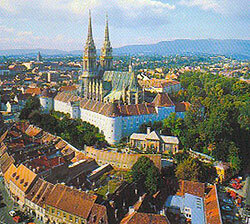 Its capital, Zagreb, is a chic, cosmopolitan modern city with a lively café culture. Croatia is still in the process of shaping its new identity as a peaceful new country emerging from the violence of the Yugoslav Wars of the 1990s. One significant reason why the process is slow is regional divisions—the country has more than a thousand islands, 66 of which are said to be inhabited—highlighted by differing attitudes and dialects. The country’s pending membership in the European Union adds to the ideological and economic tension, and somewhat impedes any further progress that the government is aiming for. Nevertheless, Croatia is a growing tourist destination, particularly among Germans, Austrians and Italians, who had been coming to the country even before organized tourism was developed in the region. Croatia is also emerging as a good residential property investment option.